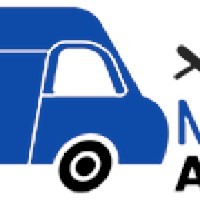 Best Movers Adelaide is a specialist Moving Company in Adelaide, offering Furniture Removals, Office Removals and House Removals in Adelaide and neighboring areas, as well as packing, unpacking service. Our goal is to deliver a personalized service that make sure that your belongings are secure and safe at all times. Our expert staff is friendly, qualified and totally competent in their job. Our team is part of our family and is very trustworthy and honest, which is why we receive outstanding feedback on a regular basis. When you’re moving to a new house or office location, the last thing you want is another thing to worry about! That is why it is so vital to hire proficient, truthful, and careful movers. Our cheap prices make it easier for students to hire us instead of moving on their own. For any kind of removals, we have a well-trained team to handle all your important files and handle them with care. Families can rely on us for making their relocation an easy process.